An interview with the poet whose new book Pantry brings to life kitchen objects in order to explore our domestic lives. The pitcher and the pie bird. Spoon rest, French Press, dishwasher to double boiler. 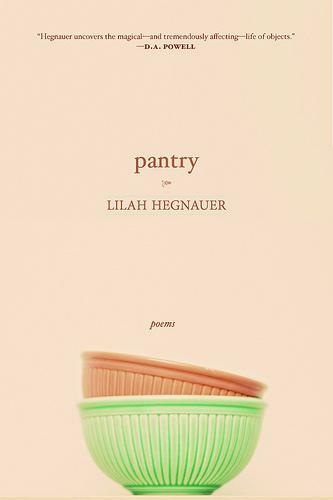 Lilah Hegnauer leaves no culinary tool on the shelf in Pantry, her latest book that will charm even the most skeptical of poetry readers. 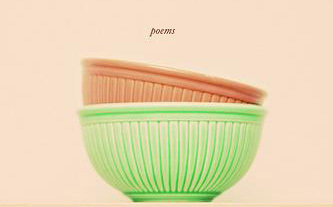 Although almost all of the poems in Pantry take their titles from kitchen objects, Hegnauer’s poems aren’t literally about spoons, coddling cups and sifters. Rather, the objects she’s chosen or a minute detail about them serves as a landmark for entry into the interior domestic landscape. Hegnauer peers into our kitchens — and her own — to find those items we hold onto, forget and discover again. The poems in this book begin in a closely packed pantry but then slip beneath the surface to explore those aspects of domesticity that make up our version of home: love, sadness, happiness, comfort and warmth. Hegnauer isn’t a native Southerner, but she did get her Master of Fine Arts in Poetry from the University of Virginia. 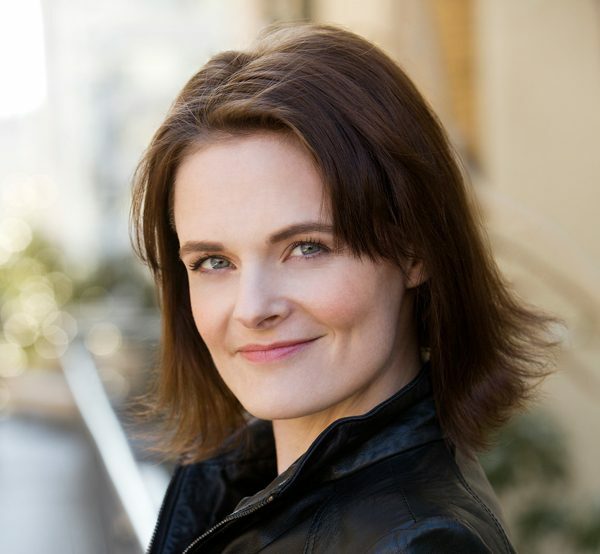 She has also lectured there in the English Department, taught a young writer’s workshop and is currently serving as lecturer in the English Department at James Madison University. Living in Charlottesville while pregnant for her daughter, Hegnauer says she craved collard greens. After seeing her on a New Southern Poetry panel at the Tennessee Williams Festival in New Orleans last month, I emailed her and asked if she would tell us more about Pantry. Read on to discover how the idea for Pantry came to her as she found herself away from home and missing some of her favorite kitchen objects, which poets she’s reading now, how the South has influenced her work and, lastly, what her own pantry looks like. Lines from her poems are sprinkled in like pepper, but you’ll want to get a copy of Pantry for yourself. Scroll down to the end to find out how to enter to win one from Hub City Press. 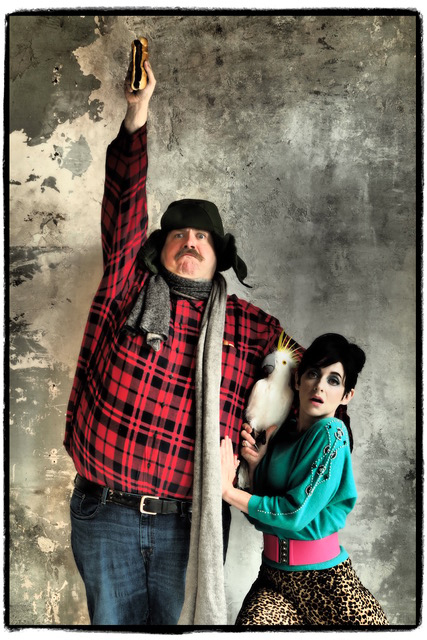 EZB: You mentioned during your Tennessee Williams Festival panel that the idea for Pantry came about while you were doing a residency and wandering around antique shops. Can you elaborate on that experience and how items like a pie bird and egg topper became poems? LH: In my experience, residencies usually allow for a level of reflection and silence that is difficult to come by in the course of a busy and cluttered life, especially winter residencies in small towns (I was at the MacDowell Colony). In the past, this stripped-down existence has provided me with a space to be creative without distraction. So, it was a surprise this time around to find that I missed the distractions, or what I thought were distractions. Life does that sometimes; something will shift — a move, a new relationship, the loss of a loved one — and suddenly the dull trappings of a life assume new meaning. At its worst, this phenomenon can lead to a cloying nostalgia where every object is precious because it’s linked with some story or some person, but it can also be a way into the beauty of the ordinary. Being away from my kitchen in the middle of winter, it was the ordinary things I began to miss, like a favorite little glass or a knife with a well-worn handle. So, in a burst of infidelity to my own belongings, I went to several antique shops looking for a few ordinary objects to get me through the residency. In wandering through antique shops, I’m always drawn to the densely packed shelves. This is where you find the tools of daily living — the pins, scissors, doorknobs, inkwells, and especially the kitchen implements. When a person dies, this is the valueless stuff that is disposed of first, and yet these tools were often tremendously valuable to the person who used them. I like these objects, even if I’m sometimes hazy on their use. In college, I ended up with a few coddling cups, though I didn’t know what they were other than a good way to store earrings and buttons. But then, during my residency, I saw a sign next to a dozen coddling cups explaining their purpose. In my work, this contrast between my use of the cups and their intended use became an exploration of the lives of objects, those we give them and those they seem to assume of their own accord. For me, the instability of objects, their promiscuous relationship to use and meaning, is at once beautiful and threatening. EZB: You also mentioned that you were missing your grandmother. Was she a good cook and did you spend time in the kitchen with her? LH: So many artists flex the boundaries of our ability to fix purpose and meaning on objects, but what it means to lose this ability altogether is a harder place to go. One of the reasons why objects are unstable is because they rely on memory for meaning and purpose. When memory fades, so much of the material world is leached of its meaning. One of the first signs of dementia is forgetting how to use an ordinary tool, perhaps one you’ve used thousands of times. I do miss my grandmother, but she isn’t dead; she is in the later stages of dementia. So much of the world has sunk beyond her grasp and the objects that relied on her for meaning and purpose will one day be headed for the cluttered shelves of antique shops. I don’t remember my grandmother being a particularly good cook, beyond her spinach lasagna (which she always spelled “lasagne”) — and that wasn’t particularly special beyond a little nutmeg in the cheese mixture. But she was grandmother like any other and made sure we were well fed. On trips to see her, we would always go at least once to an Italian restaurant called “The One and Only,” which made this amazing pasta dish that was just drenched in olive oil, garlic and parsley. It was the most delicious pasta in the world. My grandmother was also a devotee of sparkling water, or “mineral water” as she called it, which I thought was very fancy. I know this sounds like a commercial, but the foods she made or bought, even scooping ice cream into a bowl, were full of love. She can’t scoop ice cream now, and I don’t think she knows who I am, which means that ice cream will never taste so sweet again. EZB: What is your writing process like? Are you constantly composing poems in your head or do you have a set time to work? LH: Sadly, I’m a desk-bound writer. I need a desk that is just mine no matter how transient or cramped our living quarters might be. But I’ve dabbled in the art of the roaming composition. Every semester, I give my students a “composing while walking” assignment, and I always participate too. When I’m walking and composing poems, I feel like I’m joining a grand tradition: Wordsworth, Keats, Wallace Stevens, etc. EZB: Who are some of your favorite living poets right now? LH: I love Lucie Brock-Broido. 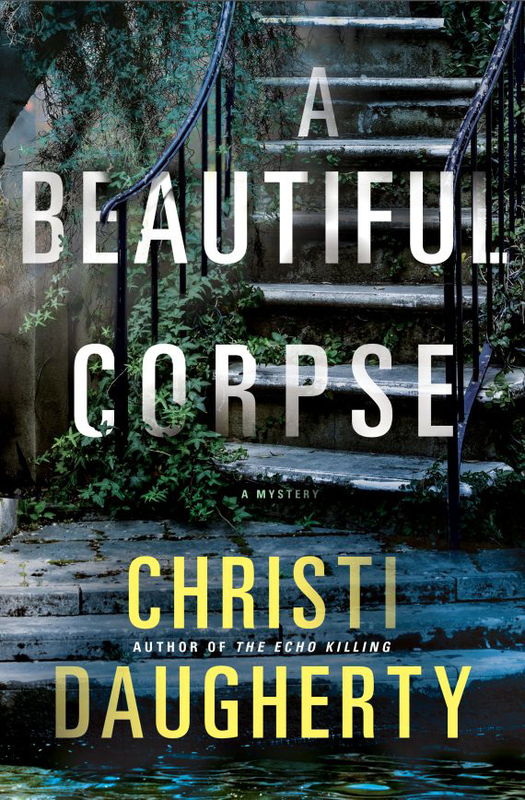 Her use of myth and narrative is so inventive. And I never get tired of reading Li-Young Lee, Mary Szybist, Kimiko Hahn, Rachel Zucker, Khaled Mattawa, A.E. Stallings, Hadara Bar-Nadav, Mary Ruefle. And poets who I miss and should still be with us: Reginald Shepherd, Lucille Clifton, Seamus Heaney. And poets whose audio recordings make me feel like they’re still very much living poets: Dylan Thomas, Edna St. Vincent Millay, Robert Creeley, Robert Frost. And poets I feel really never have left us and with whom I have a deep and abiding relationship: Dickinson, Whitman. with an apple brandy perched on the edge of the tub. salt, a few too many cooks in the kitchen. I want all my eggs in your basket. EZB: Another thing you talked about was being an outsider and an observer in the South. How did this affect and inspire your work? LH: I think most poets feel like observers, no matter their geography or proximity to their actual homeland, which is, for a lot of poets, a very elusive construct in the first place. For that matter, I think most writers in general feel like observers. This is (partly) what makes for good writing: the ability to watch and record and observe from outside. Many poets even feel like foreigners in their own heads, which accounts for so many invocations to the muses, be they gods or nature. Pantry is, in many ways, a domestic book, so when the South makes an appearance, it’s at the margins. Living in Charlottesville, my students from further South would laugh at me for saying it, but the Southern heat looms large in just about everything I do. I’m from the Pacific Northwest, so I’m not conditioned to be being hot. So is it any wonder that objects in my kitchen begin to take on personalities when I’m cooking in an un-airconditioned house in the middle of July? What native Southerner would do such a thing? EZB: You paint such a warm and cozy picture of a household and kitchen in Pantry. What’s your own kitchen like and do you have a favorite meal that you like to cook for your family? LH: Since June of 2013, my kitchen has been completely packed up and in storage — first because my family and I were in residence at the Amy Clampitt house in Lenox, Massachusetts, and now because we are in transition between employment and living in close quarters in Newton, Massachusetts. It actually upsets me to think about my kitchen all boxed up in our storage locker. It’s very important to me (both emotionally and as a writer) to have a space in which to cook and bake and be creative with food. My husband is a vegetarian and I was also a vegetarian for a long time, so I like experimenting with novel ways to prepare vegetarian staples like lentils, barley and spinach in ways that won’t taste overly virtuous. I’ve been doing a lot of roasting this winter: fennel, endive, beets, sweet potatoes. Plus, our daughter is now 9 months old and is starting to enjoy eating solid foods and has taken to my garlic-heavy hummus. It makes for a very fragrant baby. Hub City Press has offered one copy of Pantry for giveaway. To enter to win, comment here and share your favorite kitchen object/tool/appliance. We’ll choose a winner on Tuesday. Only entries in the United States will be considered. One of my favorite kitchen items is an 8 inch skillet that was my grandmother’s. Another favorite is a wooden rolling pin that my husband made when he was a boy. Between those 2 things, I’ve got cornbread and biscuits covered! Would love to win the chapbook – a lovely cover, by the way! My favorite items are all connected: a Sunbeam mixer bought in 1972 that still makes a brilliant pound cake whose recipe is handed down to the eldest daughter (thank goodness for birth order!! ); the smudged, stained, creased, etc. cookbook that contains handwritten recipes from my grandmother and mother and a closely guarded copy of the pound cake recipe; a dully rusting cheese grater for making pimento cheese and zesting lemons for a variation on said pound cake; and a ocean blue colored spoon rest handed down through the pound cake legacy. These have moved with me from 1972 when I got married through many kitchens and will return to their original kitchen in a couple more years when I retire from teaching in WV and move back to my childhood home and kitchen in Pacolet, SC. Our “pantry” will once again be as one…memories of smells, sights, tastes, and sounds combined with future cooking moments and I will be the one at the stove. I, too, love the things handed down. The 12″ skillet unearthed from my grandma’s basement, her rolling pin, my recipe book full of my favorite recipes from my mom, my grandmothers, and my own internet-laden searches. I haven’t tried my grandmother’s famous strudel yet, but I know in my gut that using her tools will make them turn out like they should. My favorite kitchen item is also a pass me down. It’s my grandfather’s old canner. He made it himself one summer when he was a teenager and gave it to his mother for a mothers day present. Many a winter’s meal has started in that canner, in fact, I just planted my vegetable garden yesterday, in high hopes to have plenty to fill the canner with this summer. And ‘Pantry’ goes to Anne, but thank you all for sharing your beautiful stories about those special kitchen items!